Welcome to Make it in Minutes Monday. I thought it would be fun to feature quick and easy Valentine cards that take only minutes to make, but look like you spent more time making them. For this card, I used the Love Flourish Valentine’s Card from the Cricut Make It Now projects. 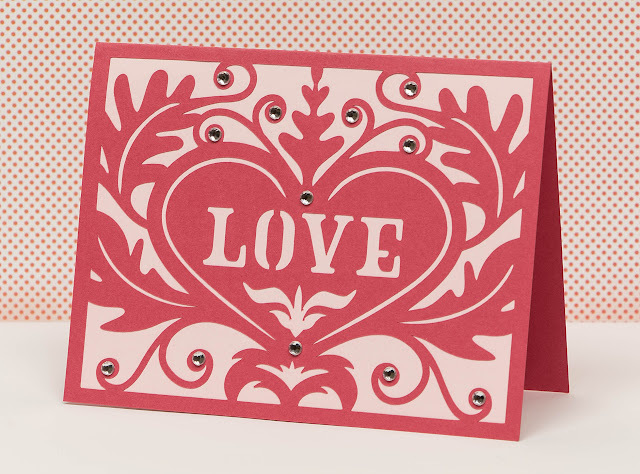 I love how quick and easy it is to make an elegant card. I used pink and red card stock and rhinestones from my stash. I used a purchased white envelope and cut the sentiment out of red card stock. 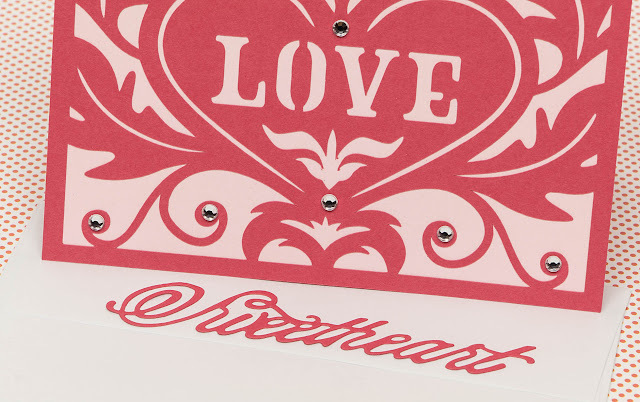 The Sweetheart sentiment is part of the Anna Griffin Wishful Thinking Dies and Folders Set that I purchased from HSN. I glued the sentiment to the envelope flap.